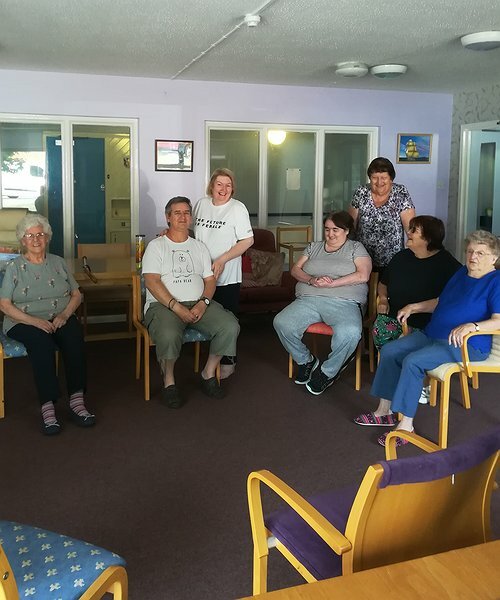 Residents at Nant Mawr Court, a sheltered housing scheme for older people managed by Clwyd Alyn housing Association in Buckley, have been keeping in trim with regular ‘Armchair Aerobics’ sessions organised by scheme warden Anita Vale. “The sessions are a great way to keep fit and health in mind, body and spirit, as there’s lots of laughter as well as some serious stretching,” said Community Development Officer Louise Blackwell who added that residents ended the sessions with a coffee morning as well. "Pony Princess visits at Care Home"